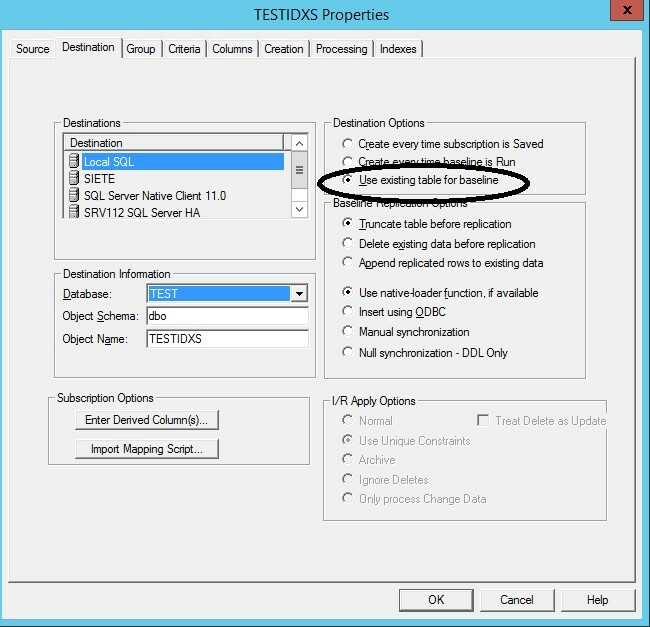 This tech note describes stored procedures which can be installed on a SQL Server destination database to preserve existing non-unique or nonclustered indexes for replicated tables. The procedures are installed by executing SQL scripts and may be modified to change the schema associated with each procedure. After the procedures are created, any subscription may be configured to use them. The result is that all non-unique indexes on the destination tables are rebuilt at the conclusion of baselines. 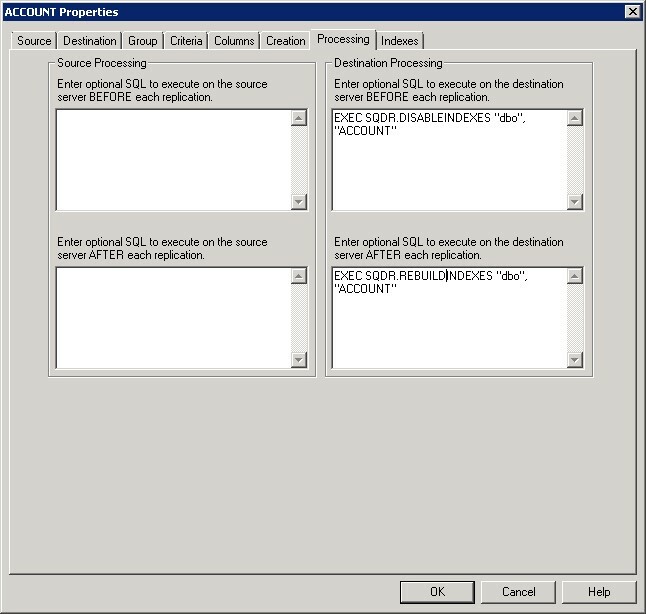 Using SQL Server Management Studio or dynamic SQL, create the stored procedures by executing the scripts disableidx.sql, rebuildidx.sql and statusidx.sql (optional). Save the subscription and run the baseline. This returns the unqualified name of the index(s) and 0=false or 1=true to indicate if the index(s) is disabled.